Do mulch and pine cones attract termites? What attracts these little, creepy animals anyway? It is challenging to prevent your property from being invaded by pests if you don’t know what attracts them in the first place. Often, according to Amco Ranger Termite and Pest Solutions, property owners make a concerted effort to complete various projects around their homes to keep rodents and other pests away. Unfortunately, some of the activities you undertake to prevent pests from entering your home might be doing more harm than good. Here are some of the thing you do that might be attracting termites to your home. Most homeowners tend to keep firewood or pieces of old furniture stacked against their houses or on a stoop for easier access. Did you know that doing so can attract termites towards your house and probably become a point of entry? According to most termite control and prevention experts, you should keep firewood and piles of wood at least 20 feet away from your house. If possible, you should consider storing wood raised at least five inches off the ground. Though it is not a favourite chore for most homeowners, cleaning the gutters is an essential step when it comes to control and prevention of termites. These creepy little animals love moisture. Clogged or leaky gutters can result in pools of water and make your entire insulation prone to termite attack. Note that diverting rainwater away from the foundation of your house using splash blocks and down-spout extenders can prevent water pooling and reduce the instances of termite infestation. Often, mulch is used near homes and against the foundation for different reasons. However, it can also serve as an important source of food for terms. Note that mulch retains moisture which can also attract other destructive pests. To keep pest away from your home, consider minimizing the use of mulch and always keep it away from the foundation of your house. It is recommended to keep it at least 15 feet away. Monitor the current mulch for signs of termites particularly below the surface. Tree leaves and limbs that come in contact with your home’s roof and exterior can offer a pathway for termites and other pests seeking a new location. Besides, trees block sunlight, slowing down the evaporation of precipitation. 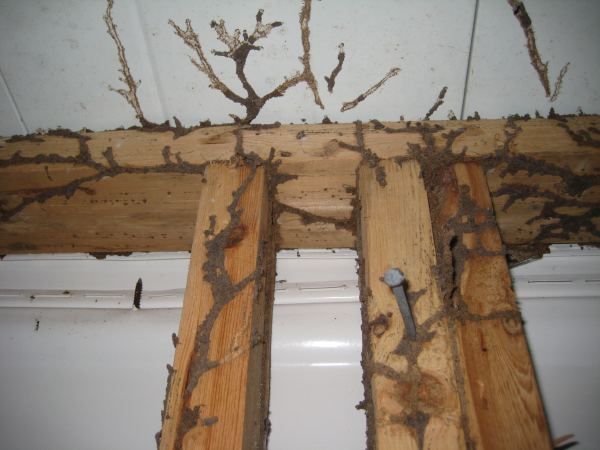 This can promote moisture build-up, something that is likely to attract termites. Most people are guilty of leaving dead trees and stumps in their yards. Generally, any rotting wood material will always serve as fuel for termites. Eventually, termites will invade your home, and if not detected early enough, they will cause significant structural damage.